Conor McGregor and Bus Attack – Actions of a Man or Child? UFC 223 has fallen apart in just 24 hours. A big part of that was due to the actions of Conor McGregor. From my understanding, Khabib Nurmagomedov’s team bullied Artem Lobov (one of McGregor’s team mates) when he was by himself. 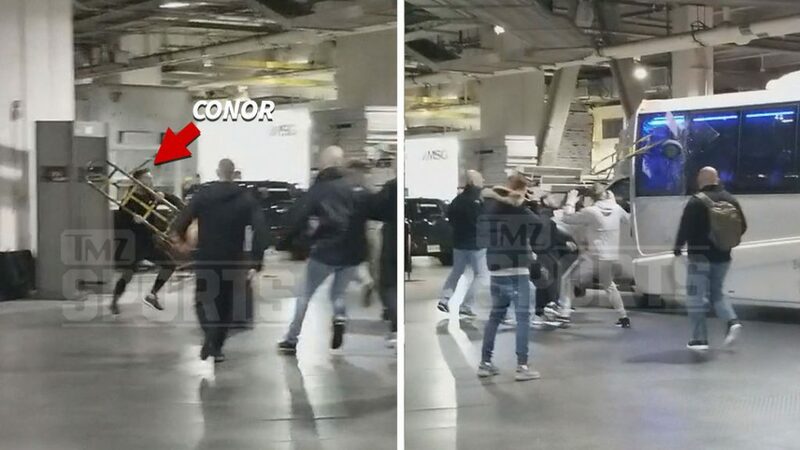 I’m unclear if there was any physical contact (it doesn’t seem like it), but this pissed off Team McGregor and they came out in force to call out Khabib. Khabib was in a UFC bus awaiting transport. Khabib didn’t come out, so Conor himself threw a truck dolly into a window and smashed it. I have read people saying all sorts of comments ranging from Conor is a thug and should be locked up, to Conor is man for standing up for his friend regardless of the consequences. Assuming this is not a publicity stunt, (which I’m not fully convinced of yet) these actions are what an angry child would do. He showed no self control, directed his rage at the nearest thing/person, and had no regard for innocent bystanders. Which brings me to my bigger problem with this. The only reason to fight is for survival. If someone physically attacks or threatens violence upon you or yours, you have a survival problem and fighting maybe required to live and protect your family. This was not a survival issue at all – it was an ego problem. Conor was not happy that a friend got bullied, which seemed to be more about smack talk (mental warfare) then it was a threat to his life or even just his physical well being. This type of behavior and fragility of the ego is what you would expect of children in school. A real man in my opinion doesn’t get frazzled by this type of nonsense. He knows the difference between people talking smack versus people who pose a survival threat. For example, do you go around stomping out small dogs that bark at you? No, because you know it isn’t a threat – it’s all bark. If you did, you would be getting into fights all day. It doesn’t matter if the violence was “justified”. If Khabib was talking hard and saying he would beat that crap out of Conor, it would seem justified to call him out. But it is foolish. This is an ego problem again. Once again, are you going to fight every dog that barks at you? That is a lot of fights. Save your time and energy for real problems. For me, this whole scandal is an embarrassment to the martial arts. When the most famous competing mixed martial artist in the world is acting like an out of control child on a tantrum, it makes us look foolish. Instead of being a positive role model, he is being a delinquent and inspiring people to seek out attention by acting like a fool.